If you had a “case of the Mondays,” then Sculpture Park in downtown Denver was the place for the cure. 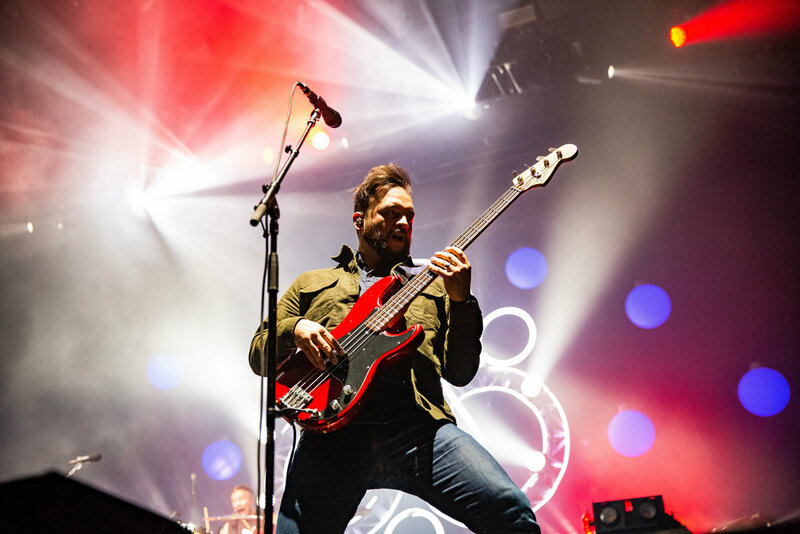 The co-headlining tour featuring Taking Back Sunday and Coheed & Cambria set up west of the Denver Performing Arts complex in-front of the iconic “dancers” sculpture for a rare musical treat. California band The Story So Far opened up the night with their unique pop-punk sound. What they lack in stage presence, they more than make up for with their music. Their high-tempo tunes like “Out Of It” and fan favorite “Quicksand” were a fitting way to start the night off with a bang. Another short wait later, the lights dimmed and the intro to “The Dark Sentencer” started up. Face-melting guitars ensued from there. Coheed & Cambria are known for their conceptual albums and the elaborate stories and comics behind them, which has kept fans so loyal and intrigued by the band. They rocked on with songs like “Devil In Jersey City” and “A Favor House Atlantic.” Their set was topped off with “Wake Up” and “Welcome Home” as the finale. Though Sculpture Park isn’t the first place you would think of for a concert, this past Monday it was one of Colorado’s best. See our full gallery from this show here. All photos per the author. All videos, and embedded tracks per the artists featured and those credited. This feature was edited for brevity and clarity by BolderBeat.